Thinking about leasing a new car? Knowing what you are getting into financially is an important part of leasing a vehicle and so here are some top tips taken from CarLease UK who suggest customers should be sure you think about these 4 important things before leasing your new car online! Setting a budget for leasing a car is just like setting a budget for buying a new car. 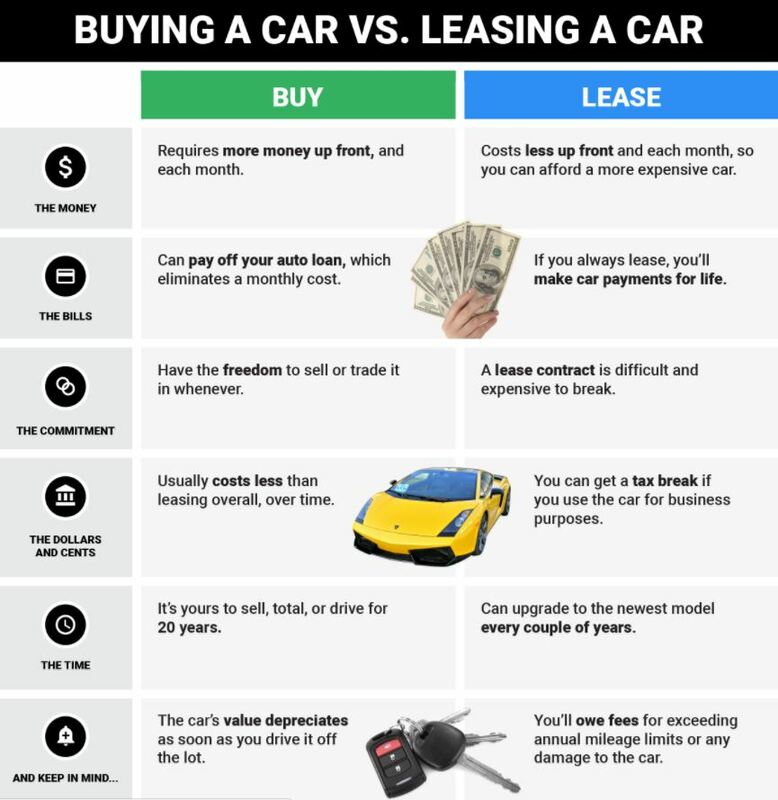 Knowing which car you can afford to lease is a very important part of leasing but, don’t be swayed by on screen prices, there are additional cost considerations to consider when taking out a lease car agreement… Find out more below! If you are a personal leasing customer then the process of working out how many miles you drive a year can involve a little maths and some averages. If you consider your daily commute, weekly obligations and family outings as well as any particular long distances you can always come up with an estimate, or you can use the Government MOT checking website to see how many miles you do each year between MOT tests. Take an average of these readings and then use this as your basis for leasing a car. Be sure you check out any over mileage penalties which may occur if you go over the agreed mileage. Once you know more about your annual mileage you can then start to think about the length of the lease car agreement and as such any servicing obligations and insurance premiums which you will have to pay on top of the monthly premiums. A car which is fit for purpose is by far the best vehicle which anyone could lease. Choosing between petrol or diesel, electric or hybrid, estate, saloon, SUV or 4×4, even convertibles and city cars can all become factors in choosing the right lease car for you, your families and lifestyle needs. Ultimately choosing the best lease car deal possible at a time in which you want your lease to begin can mean that some cars are more appealing than others when weighing up affordability and user-ship. Leasing a car for the first time can sometimes involve playing with numbers and most importantly working out monthly budgets, for some people this can be a bit of confusing. Check out the CarLease UK Blogs to learn more about leasing. Car Leasing – More Bang for your Buck! The traditional way of obtaining a new car has always been to visit a car dealer’s showroom in an attempt to try and strike a good deal. Dealers normally accept trade-ins but rarely pay top price for part exchange vehicles, marking down the price for even the slightest signs of wear and tear. In most cases, a credit agreement is necessary to fund the purchase of the new car and, when all of the necessary documentation is completed, it is time to drive away with the new purchase. In recent years, however, there has been a substantial change in the way that people obtain their cars. The majority of new cars are now obtained not by outright purchase but as part of special deals allowing new cars to be driven away with very low monthly payments. There are many different types of schemes on offer but one of the most straightforward and easily understood is car leasing. In the business world, leasing a car has long been recognised as having financial benefits over purchasing including substantial tax advantages but the more recent phenomenon of personal leasing also has many advantages and is often the preferred choice for those looking for a hassle-free way of regularly obtaining new cars with known monthly costs, avoiding the need to sell a previous car at a fraction of its original price. There is no getting away from the fact that cars cost money and in the case of a lease deal the monthly contracted payments only pay for the use of the car, not its purchase meaning that, at the end of the contract period, the car is simply returned. This may at first seem like money down the drain but, when compared to the costs of actually buying a new car and then selling it after a few years (typically three years), the full significance of depreciation can be fully appreciated. At the time when the vehicle is due to be replaced, it is of course fully owned but worth much less than when new. Car buying becomes even more expensive when bought on finance and it is hard to justify paying high-interest charges when buying a depreciating asset. In almost all cases, the value of the old car is offset by the much higher monthly payments required compared to leasing. Leasing, therefore, is often seen as a way to obtain a new car with very low monthly payments but for true car enthusiasts it opens up a whole new way of taking motoring enjoyment to another level. Some of the most desirable cars can be prohibitively expensive to buy new and show alarming rates of depreciation putting them beyond the reach of many people but things can be much different in a leasing scheme and many of these sought-after vehicles suddenly become surprisingly affordable. There are many specialised car leasing companies offering a wide range of different makes and models but the franchised dealers should also not be overlooked as they often offer some great deals and have a vested interest in moving vehicles from their forecourts. The leasing process varies from company to company but tends to follow a similar pattern. The vehicle is chosen and the monthly cost is worked out taking into account the estimated mileage for the lease period. In most cases, a deposit payment is required typically of two or three times the monthly payment. In some cases, a larger payment may be required and this will have the effect of reducing the regular monthly payments. Proof of identity and address will be required along with driving licence details. Comprehensive insurance is also needed for the vehicle. As this is regarded as a credit arrangement, a suitable contract will need to be signed and acceptance will be subject to the usual credit checks. It is as well to be aware that a very good credit report will be required in most instances and those with a less than perfect credit history are likely to be refused. A few companies offer sub-prime leasing facilities but these are invariably more expensive making them much less attractive. Once the paperwork has been successfully completed, the car can be ordered, collected and enjoyed. It must, of course, be kept in very good condition and within the agreed mileage limits. Excess mileage will be subject to a charge. There should be no problems in obtaining insurance but some insurance companies charge a little more for leased vehicles so it is always worth shopping around. At the end of the lease term, typically two, three or four years, the car is simply returned. In some cases, there may be the option to buy the car but in general, the emphasis is usually on arranging for the provision of a new leased car. So whether looking for the cheapest way to be driving a brand new car or a way of moving up into motoring’s Premier League, leasing has much to offer. Just by adding up the figures, most people agree that leasing really does offer more bang for your buck! Spacious SUV’s are sought after by many and we’re in luck, as 2017 offers excellent Range Rover Evoque lease deals. Drivers of this compact SUV love the generous and comfortable cabin, with height above your head and space at the sides. As well as ultimate upgrades to the interior, drivers of the 2017 Evoque also enjoy excellent engine efficiency with the introduction of the new family of diesel engines.